While K-pop grows in popularity throughout the U.S., the trend has finally reached Ole Miss, where devoted fans meet once a week to practice their dance skills to a variety of the genre’s greatest hits. 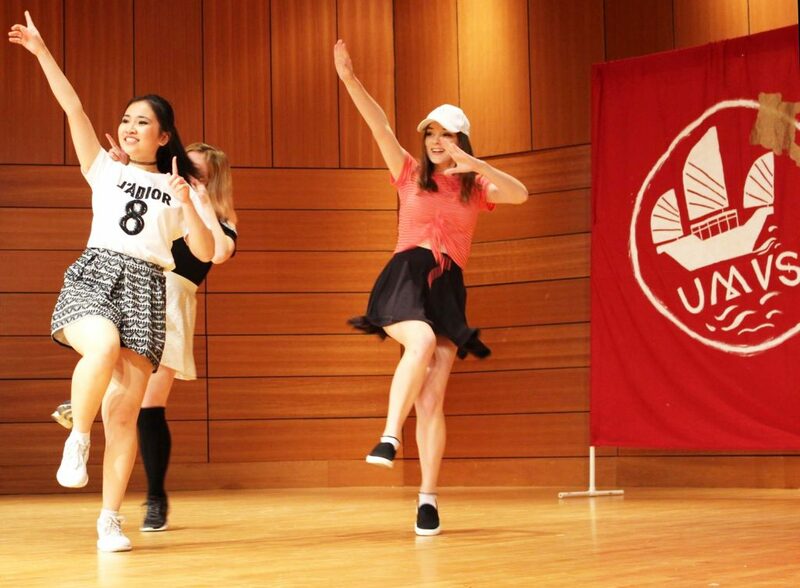 Ole Miss Generation — OMG, for short — is a student-led, dance-cover club dedicated to spreading and learning about Korean culture through music and dance. Chartered as an official organization during fall 2017, it has expanded to around 30 dancers. K-pop, the term for a style of Korean pop music known for its catchy melodies and intensely choreographed dances, is a steadily growing trend in the American music world today. Originating in South Korea, K-pop groups have sold out shows in the U.S. and have cracked the Billboard Hot 100 chart eight times since the Wonder Girls first accomplished the feat in 2009. OMG’s co-founder, junior international studies major Delaney Mason, said that no matter their dance expertise, OMG welcomes all fans who appreciate K-pop. Mason said that her favorite part of OMG is the ability to work with other K-pop fans on their similar interest and see each member’s personal growth. In addition, Mason said that despite the sometimes exhausting practices, many, if not all, of the members better their dancing drastically throughout the semester. OMG practices dances from popular K-pop groups every Sunday at the Turner Center. With levels ranging from novice to advanced, everyone has a place in the cover group. Dances include all-girl groups, all-boy groups and a co-ed group. Over the course of the semester, OMG will have at least 11 practices to prepare for its two planned performances. The first will be at the International and American Student Alliance’s Culture Night, and the other, which is still in the works, is expected to be at either the Ford Center or Nutt Auditorium. This year’s group of dancers consists of returning dancers, such as sophomore linguistics and German double major Hannah Ashley, who said she was drawn back to the group by both the confidence and friendships other dancers gave her. In addition to the club’s veteran dancers, new dancers have already begun to show interest early in the semester. Dana Wesley, a graduate student studying Spanish, is one of these new members. A fan of K-pop since 2010, Wesley said she was influenced to join by her friends that were already in the group.